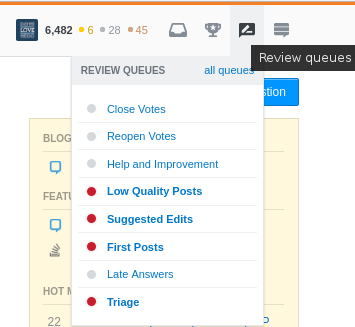 We are actively working on top bar improvements, many of which are a part of bringing the new top bar to the Stack Exchange network sites. Several of the changes are relevant to SO. As such, you should read the full update here. Specifically, I wanted to call out the following issues which have received attention here on Meta SO. The current review list feel so bland. It didn't encourage me to do the review. Please bring back the previous review list. Designers love subtle cues, because subtlety is one of the traits of sophisticated design. But Web users are generally in such a hurry that they routinely miss subtle cues. Not the answer you're looking for? 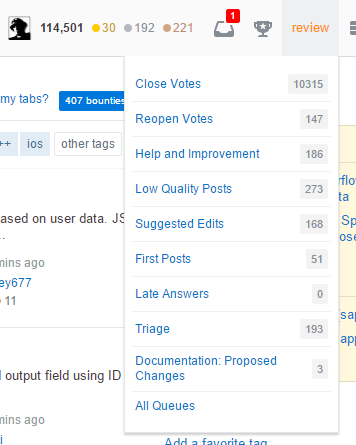 Browse other questions tagged discussion review top-bar announcement .